Industry experts speculate that the delivery of biogas, synthetic natural gas and hydrogen will increase significantly in the coming years. Since, in the case of biomethane (as an example), development is toward decentralised production in volumes of up to 12,500 Nm³/h is to be expected simultaneously, the use of appropriately dimensioned odourising systems will also become essential. In order to ensure optimal preparation for this trend, Lewa has added the MAH 4 model to its existing micro-metering pump portfolio. 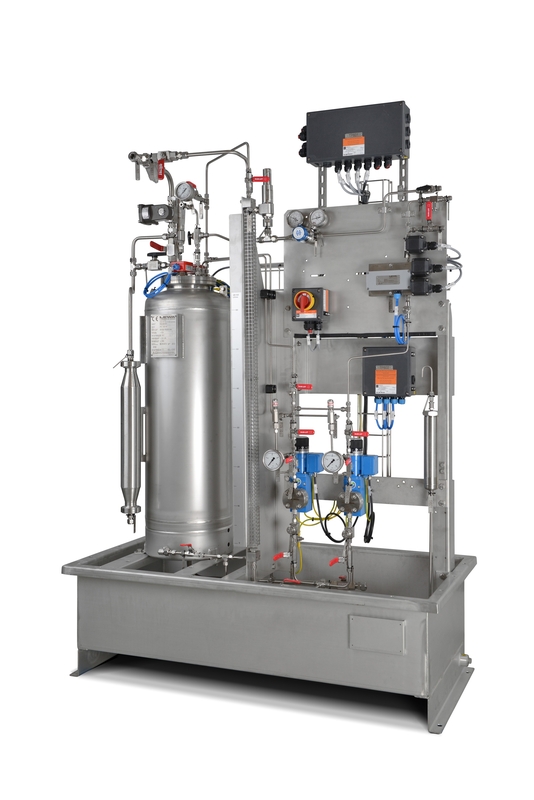 The unit, which was specifically designed for a delivery range from 200 to 250ml, can odourise gases at pressures up to 16 bar, making it a cost-efficient solution for gas networks up to PN 16. Furthermore, the manufacturer has redesigned the odour control system and adapted it to future requirements. It’s new features make integration into existing systems easier, for example, and ensure even better evaluation of gas meter signals. “After receiving more and more frequent requests for gas volumes of about 12,500 Nm³/h in the last few months, we decided to design this intermediate size,” explained Walter Richter at Lewa.